Scribner Book Company, 9780743228367, 281pp. As a child, the flamboyant, brooding, and beautiful Rozzie was always the star of her family -- especially in her younger sister Jemma's eyes. So when Rozzie takes up acting and, as a teenager, wins a part in a major motion picture, life changes irrevocably for both sisters. Rozzie is catapulted into the chaotic adult world of celebrity while Jemma travels to movie sets and relishes her sister's fame -- never seeing the strain that the spotlight puts on Rozzie. Soon Jemma develops her own artistic ambitions as a photographer, and Rozzie is forced to reveal the secret she has kept from her family for years -- a rare eye condition that threatens her vision. Only then does Jemma begin to see the truth about her sister and herself -- a reality that threatens the delicate balance of their relationship. A moving and profound story about family, celebrity, envy, and ultimately love, The Art of Seeing is a brilliant exploration of the powerful and enduring connection between sisters. "Eloquent. [McGovern] is a wry and keen observer of sibling love and rivalry." 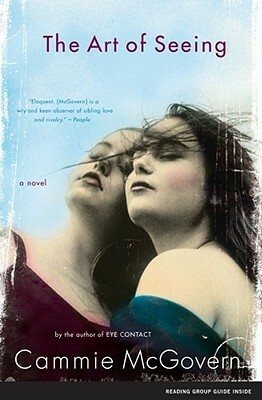 "McGovern explore[s] the deep shadows thrown by sisterly rivalry. She skillfully reflects the spotlight of fame back on itself." "Elegant and complex. An unusually accomplished first novel."